» Anders Breivik loses human rights case against Norway. Anders Breivik loses human rights case against Norway. Norwegian authorities have not violated the rights of mass murderer Anders Bering Breivik, an appeals court ruled on Wednesday. The court overturned the ruling of a lower court which had said Breivik was being kept in inhumane conditions. He had argued that being kept away from other prisoners for 22 to 23 hours a day breached his human rights. The right-wing extremist killed 77 people in July 2011. 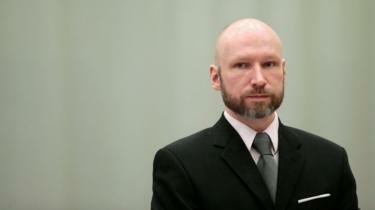 Breivik’s lawyer said he would appeal the verdict. “Breivik is not, and has not, been subjected to torture or inhuman or degrading treatment,” the appeals court wrote in its verdict. Breivik set off a car bomb in the capital Oslo, killing eight people, before murdering 69 people at a summer camp for young centre-left political activists on the island of Utoeya. The 38-year-old has been kept in solitary confinement since he was sentenced in 2012 to 21 years in Skien prison. The state argued that his detention was fair as he posed a danger, adding that it was compensating for his strict detention by providing him with three well-equipped cells. In April 2016,a court argument that his right to respect for private and family life was violated by restrictions.